Two new number ones grace the top of the polls in our final ranking of 2018. There was limited movement in Class AAAAAAA. No. 1 Westlake was 2-0 at the Big South Shootout, beating last week’s Class 3A No. 1 Beach 60-46 and last week’s Class 4A No. 10 Burke County 54-30. No. 2 Collins Hill won the Deep South Classic scoring wins over Archer 82-26, Class 3A No. 7 GAC 66-45 and in the championship, host Brookwood 49-42. No. 3 North Cobb shined at the Big South Shootout demolishing Burke County 52-27 and dispatching of Roswell 58-43. While the Lady Warriors might not have the same star power as Westlake and Collins Hill, Head Coach John Speeney demands the best from his girls and he often gets it, the backcourt powered by steady juniors Azonya Austin and three-point shooter Sydney Thomas. No. 5 Pebblebrook moves up a spot after beating No. 10 Marietta 33-27 for the Campbell Holiday Classic Championship. In out of state play, No. 4 Norcross went 1-2 at the Naples Holiday Shootout, No. 7 North Forsyth went 2-1 at the Carolina Invitational and No. 9 Cherokee swept through the Windermere Prep Rock Holiday Classic in Orlando while No. 8 Mill Creek finished 2-1. With a newfound target on their back in Class AAAAAA, No. 4 Glynn Academy could not repeat last week’s success and drops one spot after losing 61-47 to Class 3A No. 9 Tattnall County 61-47 at the Vidalia Holiday Classic. No. 5 Stephenson is also down a spot after an 0-3 week at the USMC BallN Prep Holiday Invitational in Alabama. No. 7 Dacula rises a position following a 2-1 showing at the Carolina Invitational beating William Blount (TN) 52-31 and handing South Carolina power Goose Creek their first loss of the season 53-45, before falling to Hoover (AL) 63-39. Suspensions lead to a depleted Lanier (11-3) dropping from the poll after two bad losses to Monroe Area 34-23 and Stephens County 51-28. The Longhorns are replaced by re-entry No. 10 Pope. The Greyhounds won their Hounds Holiday Hoops Classic Championship by beating Hillgrove 51-47. Facing their biggest test of the season, Class AAAAA No. 1 Villa Rica routed host Class 6A No. 9 New Manchester in their holiday tournament championship 57-37. Kentucky-signee Deasia Merrill dropped 29 points while Aliyah Hindsman added 11 points. Over at the BallN Prep Invitational in Alabama, No. 3 Southwest DeKalb went 2-1, highlighted by a 43-39 win over 20-2 Hazel Green (AL). At the same event, No. 8 Carrollton lost to Wenonah (AL) 55-42 and in OT to Anniston (AL) 57-51 before beating Midfield (AL) 44-37, dropping the Trojans one spot this week. No. 4 Eagle’s Landing posted a 2-1 showing at the Tampa Bay Invitational. Back in Georgia at the Sweet South Classic at Morgan County, No. 7 Veterans edged Class 4A No. 6 Luella 59-53 before eventually falling to Class 3A No. 1 Morgan County 69-55 in the title game. Class AAAA saw No. 3 Madison County suffer its first loss of the year at the Deep South Classic, losing to host Brookwood 70-55. The Red Raiders bounced back with an 85-72 win over Class 3A No. 7 GAC. No. 4 Henry County flew through the Chuck Miller Classic and finished with a strong 68-42 win against Parkview. No. 5 Flowery Branch is hitting its stride, the Lady Falcons winning their fourth consecutive Lanierland title, drilling Class 3A No. 8 North Hall in the finals 48-23. Down in South Georgia, No. 8 Westover defeated GISA power Westwood 58-48 before splitting at the Vereen Rehab Christmas Shootout in Colquitt County, beating Rome 54-53 and losing to the host Packers 61-49. Out of the poll is Burke County (4-5). The Lady Bears have lost five-straight games and were trounced at the Big South Shootout by Class 7A No. 3 North Cobb 52-27 and Class 7A No. 1 Westlake 54-30. Replacing Burke County is returnee No. 10 Marist. The War Eagles went 2-1 at the Panama City Beach Bash last week. We have a new number one in Class AAA as No. 1 Morgan County has climbed from No. 10 in Week 3 to the top spot after winning their Sweet South Classic, beating Class 5A No. 7 Veterans in the title game 69-55. No. 2 Beach slips a spot after hard-fought losses at the Big South Shootout to Georgia’s elite, Class 7A No. 1 Westlake 60-46 and Class A-Private No. 2 St. Francis 57-45. Up one spot is No. 4 Hart County who won their McDonald’s Shootout Championship, escaping No. 6 Dawson County 64-62 behind Western Kentucky-signee Torrion Starks’ 33 points and Taniya Alexander’s 26 points and 18 rebounds. Ringgold (11-3) slips from the poll after a 1-2 showing in tournament play, losing to Medina (OH) 47-44 and to Mukwonago (WI) 63-30 with a win against Steinbrenner (FL) 61-34 in between. Reappearing is No. 9 Tattnall County. The Warriors toppled Class 6A No. 4 Glynn Academy 61-47 at the Vidalia Christmas Classic before faltering against newly ranked Class 2A No. 9 Washington County 59-50. The margin for error is getting slim atop Class AA as No. 1 Dodge County retakes the throne after No. 2 Douglass fell to Locust Grove 69-62 at the Mary Persons Christmas Classic. The Squaws won the Metter Christmas Championship by drilling South Effingham 107-63 and Southeast Bulloch 55-31. Breaking into the Top 3 is No. 3 Fitzgerald. The Lady Canes blasted Putnam County (9-3) at the Ronalda Pierce Classic, booting the War Eagles from the Top 10 after sitting at No. 7. Fitzgerald showed no mercy against traditional 3A power Peach County either, pounding the Trojans 72-41, good enough to leapfrog over No. 4 Laney and No. 5 Bryan County who both had perfect weeks. No. 8 Early County had a great week in South Georgia, knocking two Class A-Public teams from the Top 10, beating Mitchell County 81-50 and Pelham 55-41. Replacing Putnam County in the poll is No. 9 Washington County, who has patiently waited their turn. At the Vidalia Christmas Classic, the Golden Hawks defeated Camden County 55-54, Long County 69-10 and Class 3A No. 9 Tattnall County 59-50. Sophomore Miracle Parker is averaging 18.8 points, 6.5 rebounds and 3 steals while junior Destinee Ellison is pouring in 16.8 points a night. In Class A-Private, No. 1 Wesleyan rolled to a Carolina Invitational Championship beating Fort Dorchester (SC) 53-38, North Marion (WV) 68-35 and Bullitt East (KY) 51-35. No. 2 St. Francis took care of Class 3A No. 2 Beach at the Big South Shootout 57-45. No. 3 Holy Innocents’ finished 2-1 at the Naples Holiday Shootout. No. 4 ELCA climbs two spots following a 3-0 week. Rice-signee India Bellamy is averaging 21.3 points, 9.3 rebounds, 3.5 assists, 3 steals and 1.9 blocks while Polish sensation Weronika Hipp is posting 20.2 points, 4.3 rebounds, 4.9 assists and 1.9 steals. No. 1 Marion County tallied a 3-0 mark at the Muscogee County Christmas Tournament, beating Hardaway 58-40 in their final game to represent Class A-Public. Pelham (6-3) and Mitchell County (8-3) both depart after sharing losses to Class 2A No. 8 Early County. No. 5 Greenville scored a 56-53 win over debutant No. 9 Clinch County. The Panthers turned around and beat Mitchell County 68-65. Also making their way into the poll is No. 10 Turner County, winners of nine-straight. Their 65-63 victory against Putnam County last week is their signature win to date. The final ranking of 2018 sees elite competition both in-state and out lead to another week that has separated the teams with inflated records from the teams that have challenged themselves. The Tournament of Champions shook up Class AAAAAAA as No. 2 Grayson rockets up five spots after winning the Peach Championship by beating Class 6A No. 2 North Atlanta 64-56, John Marshall (VA) 71-54 and defending state champion No. 3 Meadowcreek in the title game 55-51, getting their long-awaited revenge after being eliminated 57-55 by the Mustangs in last year’s Final Four. No. 5 Wheeler shined on their home floor, beating Langston Hughes 72-71, Class 5A No. 3 Southwest DeKalb 79-66 and Class A-Private No. 1 St. Francis 82-64 to win the Apple Championship at TOC. No. 7 Newton rises two spots after dismantling Class 3A No. 2 GAC 81-57 and beating Southwest DeKalb 82-77 with a loss to St. Francis 70-68 sandwiched in between. Unsigned seniors Armani Harris and Tre Clark both earned All-Tournament selections. Winning the Red Bracket Championship at TOC was debutant No. 10 Berkmar. The Patriots beat Heritage-Conyers 61-55, Trinity Christian 51-47, Class 3A No. 6 Pace Academy 56-50 and avenged an earlier loss in the season to Shiloh (11-4) by beating the Generals 63-58 in the championship and replacing them in the rankings. Over in South Carolina at the Chick-fil-A Classic, No. 6 Norcross went 1-2, dropping three spots after losses to Salesian College Prep (CA) 50-40 and Roman Catholic (PA) 72-62. Class AAAAAA is still trying to decipher who is for real and who is not quite ready for the big stage. No. 2 North Atlanta had a 2-1 showing at TOC, losing to Class 7A No. 2 Grayson 64-56 before defeating Class 3A No. 8 Johnson-Savannah 58-53 and Lakewood (SC) 74-60, Campbell-signee Messiah Thompson dropping 43 points and 6 assists. No. 6 Tri-Cities drops four spots after going 2-2 at TOC with losses to Holy Innocents’ 61-50 and Miller Grove 57-55. No. 3 Alexander moves up three positions after winning their first three games at the Lake City Classic to set up a title match with Class 5A No. 6 Kell on Monday. The Cougars beat Class 4A No. 7 Baldwin 67-50, Class 5A No. 4 Eagle’s Landing 51-50 and Evangelical Christian (TN) 58-41. No. 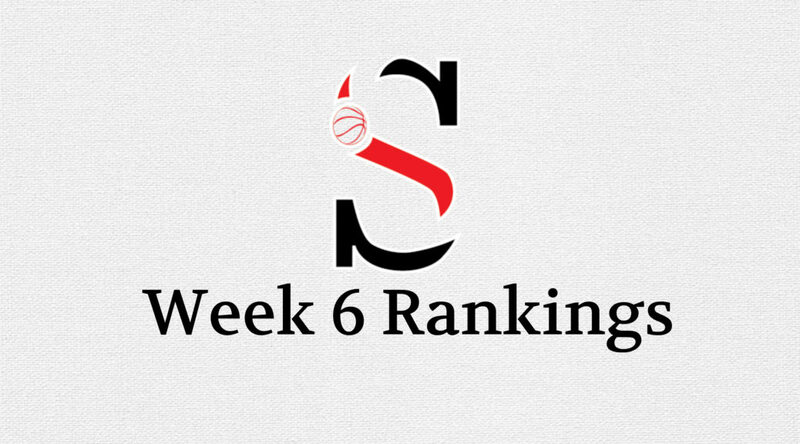 10 Sprayberry sinks six spots after losing to newly ranked No. 5 Chattahoochee 67-66 and Heritage-Conyers 77-73 at TOC. The Cougars have put it all together, winning five straight games now. Chattahoochee stole the show at TOC, beating Class 4A No. 6 Chapel Hill 87-63, Sprayberry and in the Blue Bracket Championship, Class A-Private No. 4 Greenforest 93-90 in 5OT, Franklin Bailey winning MVP with 17 points while AJ White and Cameron Sheffield both earned All-Tournament honors. Dropping out of the poll to make room for the Cougs is Brunswick (8-5). The Pirates went 1-2 at the Tift County McDonald’s Invitational losing to Lincoln (FL) 49-44 and Norland (FL) 66-59. No. 1 Buford suffered their first loss of the season at the Arby’s Classic falling to nationally ranked Carmel Christian (NC) 67-62, but wins over Tennessee 51-45 and Cardinal Newman (SC) 55-44 keep the Wolves at No. 1 in Class AAAAA. No. 2 Fayette County scored a win over Mountain View 87-78 at the Big South Shootout before surviving Creekside 70-68. No. 3 Southwest DeKalb beat Bishop Snyder (FL) 70-67 but fell to Class 7A No. 5 Wheeler 79-66 and Class 7A No. 7 Newton 82-77. No. 6 Kell is streaking, up three spots. The Longhorns will play for the Lake City Classic Championship on Monday against Class 6A No. 3 Alexander. Kell gutted their way to wins over Class 3A No. 5 Cedar Grove 61-46, Class A-Private No. 3 ELCA 55-54 and Class 2A No. 2 Therrell 67-63. Two through four in Class AAAA continue to impress. No. 2 Sandy Creek knocked off Westlake 66-62 at the Big South Shootout behind Keith Williams III’s 19 points and 6 rebounds. Julian Alexander added 15 points while Drexel-signee TJ Bickerstaff tallied 13 points, 12 rebounds and 5 assists and Jabari Smith collected 12 points, 7 rebounds and 4 blocks. No. 3 St. Pius X won their Christmas Classic Championship in thrilling fashion, edging Loyola Blakefield (MD) in overtime 72-68, Niko Broadway winning MVP. No. 4 Henry County won the Chuck Miller Classic in dominating fashion, blowing out previously ranked Westside-Macon 88-68 behind Josh Steele’s 6 threes and 30 points. The team to beat in Region 1 might be No. 5 Americus-Sumter. The Panthers rocked No. 8 Carver-Columbus 80-54 and then beat Class 3A No. 7 Central-Macon 49-48 to win the Lee County Roundball Classic, unsigned 6-foot-7 forward Joshua Lusane winning MVP for the second consecutive year. No. 6 Chapel Hill is up three spots after a 2-1 finish at TOC highlighted by a 56-55 win over Cedar Shoals. Woodward Academy (9-7) finally drops out of the poll after continuing to tread water, losing to Oak Ridge (TN) 61-56. They are replaced by returnee No. 10 Thomson, who got revenge against last week’s Class A-Public No. 1 Hancock Central, beating the Bulldogs 55-52. The see-saw of Class AAA tips in No. 1 Morgan County’s favor as the Bulldogs regain control of the top spot after cruising to the Sweet South Classic Championship, beating Apalachee 72-61, Class A-Public No. 4 Greene County 91-56 and Druid Hills 68-58. No. 2 GAC’s eight game winning streak was snapped abruptly at TOC, losing 81-57 to Class 7A No. 7 Newton. The Spartans got back on track however with wins over Blanche Ely (FL) 62-52 and Bishop Snyder (FL) 65-45. No. 5 Cedar Grove is down two spots after struggling at the Lake City Classic, losing to Class 5A No. 6 Kell 61-46 for their first loss of the season and then to Class 5A No. 9 Warner Robins 68-50. Since their loss to Class 2A No. 1 Woodville-Tompkins, No. 8 Johnson-Savannah has temporarily lost their mojo. The Atomsmashers have dropped four straight games and went 0-3 at TOC to sink two more spots. They fell to John Marshall (VA) 60-53, Class 6A No. 2 North Atlanta 58-53 and Class 5A No. 7 Lithonia 67-58. Out of the poll is Westside-Macon (10-4). The Seminoles were hammered by Class 4A No. 4 Henry County in the Chuck Miller Classic Championship 88-68. Debuting in the Top 10 is No. 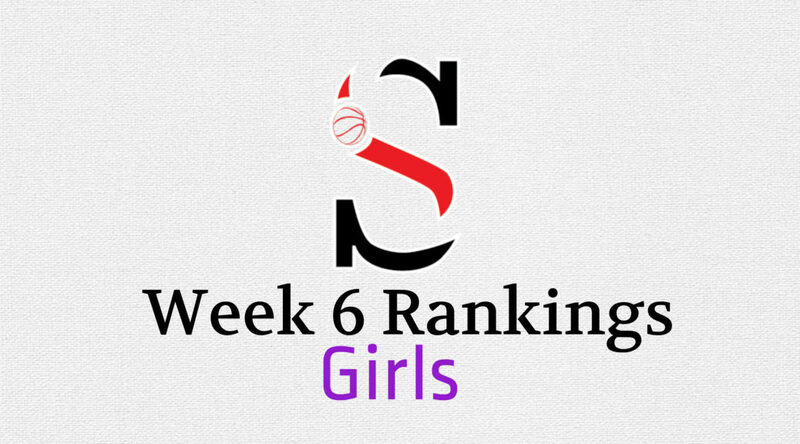 9 Jefferson, the third team from Region 8 to crack the rankings following No. 1 Morgan County and No. 4 Hart County. The Dragons won the InnisFree Hotels Beach Basketball Championship in Pensacola, FL beating North Sand Mountain (AL) 82-72, St. Stanislaus (MS) and Fleming County (KY) 68-34. Donsha Gaither (16) and Jacob Radaker (10) combining for 26 points in the title game and both making the All-Tournament Team. In Class AA, No. 1 Woodville-Tompkins handled their business at the Big South Shootout, beating Class A-Private No. 7 Wesleyan 57-45 and Morrow 55-40. Out of the Wolverines’ perfect 14 games, opponents have cracked the 50-point mark just three times. No. 2 Therrell went 2-1 at the Lake City Classic and plays Evangelical Christian (TN) in the third-place game on Monday. The Panthers survived Dacula 74-72 and Mill Creek 67-65 before falling short against Class 5A No. 6 Kell 67-63. No. 4 South Atlanta slips one spot after their fourth straight loss. The Hornets went 0-3 at the Hoodies Classic, losing to elite competition. No. 3 Northeast-Macon picked up a nice 53-47 win over a reeling Drew Charter team at the Big South Shootout. No. 7 Elbert County won the Christmas in Commerce Championship, defeating Monroe Area 66-44, Stephens County 74-60 and Eastside in the title game, 52-40. Unsigned 6-foot-3 senior AJ James won tournament MVP, averaging 24 points and 12 rebounds while posting 20 & 10 in the championship. Glenn Hills (14-3) and Chattooga (6-6) depart from the poll. The Spartans were beat by Swainsboro 63-51 while the Indians got a taste of Bartow County’s best home court advantage, losing at the Storm Center to Cartersville 73-63. Making their first appearance in the Top 10 is No. 9 Spencer. The Greenwave lost 54-51 to Auburn, but bounced back with big wins over Lanett (AL) 68-55 and Central (AL) 64-63. Following the wave is No. 10 Washington County. The Golden Hawks won the Florida First Coast Classic Championship 89-65 over Hamilton County (FL), Jamarius Dixon exploding for 40 points. The top five in Class A-Private remains unchanged. No. 1 St. Francis beat Blanche Ely (FL) 82-77 and Class 7A No. 7 Newton 70-68 before falling to Class 7A No. 5 Wheeler in the title game of TOC. No. 2 Mt. Bethel has gone 2-1 at the Arby’s Classic so far with wins over Sullivan East (TN) 55-47 and Orem (UT) 59-54. No. 3 ELCA had a 2-1 week at the Lake City Classic with wins over Etowah 61-44 and Mill Creek 76-59 but losing to Class 5A No. 6 Kell 55-54. No. 4 Greenforest tallied victories against United Faith Christian Academy (NC) 68-60, Cedar Shoals 54-47 and Heritage-Conyers 85-59 before losing a classic in 5OT to newly ranked Class 6A No. 5 Chattahoochee 93-90. Trinity Christian (6-9) sinks out of the Top 10 again after getting swept at TOC by Class 7A No. 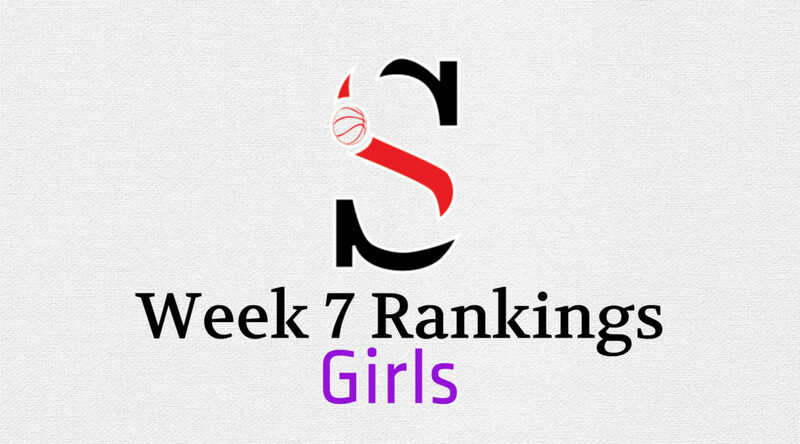 10 Berkmar 51-47, Miller Grove 57-51 and North Gwinnett 56-55. The Lions join Holy Innocents’ as two of the classification’s most talented teams that are both unranked due to overscheduling, which will hurt their Power Rating seeding come tournament time. Climbing back into the poll is No. 10 Riverside Military. Following a 55-52 loss to Class 4A No. 10 Thomson, No. 2 Hancock Central relents its grip on the top spot in Class A-Public as lone undefeated No. 1 Calhoun County takes over. No. 5 Wilcox County endured its first loss of the season and drops two spots following a 73-64 defeat to Worth County. No. 7 Pelham had a nice 56-40 win over Early County before losing to Lowndes 54-50. No. 9 Chattahoochee County got a quality win against Schley County 71-65. No. 10 Macon County tumbles two spots after a 65-57 loss to Irwin County. 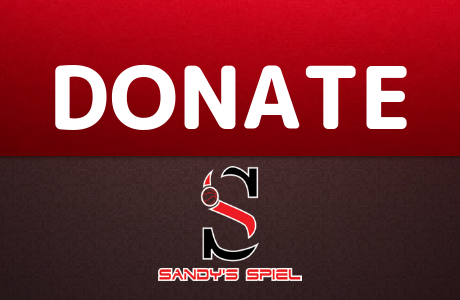 Kyle Sandy gives his take on results from around some of the GHSA’s biggest Christmas tournaments. A late surge just before Christmas leads to defending state champion No. 1 Westlake taking over the top spot in Class AAAAAAA, usurping No. 2 Collins Hill. The Lions dispatched of Class 6A No. 6 Douglas County 57-33 and Class 5A No. 3 Southwest DeKalb 60-37 in impressive fashion to win the Peach State Classic championship. The Eagles had a clean 3-0 week at the War Lodge Invitational beating Sequoyah 79-56, Class 3A No. 2 Morgan County 54-48 and South Forsyth 99-40. Senior Katherine Fourie drilled 8 threes against Sequoyah en route to 30 points and followed up with a 9-three encore against the War Eagles. No. 6 Pebblebrook leapfrogs inactive No. 7 North Forsyth following their 63-62 win over Class 5A No. 7 Carrollton. No. 3 North Cobb edged No. 9 Marietta 49-39, but the Blue Devils still hold tight ahead of No. 10 Cherokee, who defeated Creekview 51-43 on the road. Over in Myrtle Beach at the CresCom Bank Holiday Invitational, Class AAAAAA No. 1 Lovejoy went 3-1 with their lone loss coming to Riverdale (TN) 47-33. No. 5 Northview finished 1-2 at the event, losing to Southeast Raleigh 53-41, who Lovejoy defeated 48-42. But the most impressive performance came back in Georgia on another coast as nobody in the state rose their stock more than No. 3 Glynn Academy. The Terrors explode up six spots after a statement week. Glynn Academy scored wins over Richmond Hill 44-39, last week’s Class A-Private No. 7 Calvary Day 49-36, last week’s Class 3A No. 2 Johnson-Savannah 68-64 and Class 3A No. 1 Beach 49-46 – their opponents boasting a combined 42-12 record. Coach Sharnesha Smith has rode 2020 5-foot-11 forward Zoesha Smith, the High Major recruit averaging 18.1 points and 12.6 rebounds. The lone casualty in Class AAAAA is Arabia Mountain (12-3). The Rams were beat 50-36 at No. 3 Southwest DeKalb. Replacing Arabia Mountain is debutant No. 10 Warner Robins. The Demonettes went 3-0 at the Bear Brawl Classic, beating three ranked teams on their way to the title at Houston County. They beat last week’s Class 3A No. 6 Peach County 67-48, last week’s Class 4A No. 9 West Laurens 63-44 and in the title game Class 4A No. 7 Perry 49-48. No. 1 Carver-Columbus represented Class AAAA well as they went 3-0 to win the Beach Ball Classic in South Carolina, escaping Bishop O’Connell (VA) 48-46 in the title game. No. 3 Madison County got 43 points from Kayla McPherson in their thrilling 74-72 win at Class 3A No. 5 Hart County to remain undefeated. West Laurens (10-4) slides out of the poll after a 3-2 week, losing to Northside-Warner Robins 48-47 and newly ranked Class 5A No. 10 Warner Robins 63-44 with a win over Class A-Public No. 4 Wheeler County 54-50 sandwiched in between. No. 9 Northwest Whitfield makes their first appearance in the Top 10 following a 2-1 showing at Mistletoe Madness. Undersized 5-foot-8 post Jada Griffin is averaging 19.9 points and 8.6 rebounds. Even though they suffered their first loss of the year to Class 6A No. 3 Glynn Academy, No. 1 Beach is still the team to beat in Class AAA. Before their loss they notched a 40-37 win over Camden County. Up another spot is No. 2 Morgan County. The Lady Dogs went 2-1 at the War Lodge Invitational with dominant wins over Alpharetta 60-33 and Cambridge 78-30 with a loss to last week’s Class 7A No. 1 Collins Hill 54-48 in between victories. Peach County (6-3) sinks from the Top 10 after a 1-2 showing at the Bear Brawl, losing to Class 5A No. 10 Warner Robins 67-48 and Class A-Public No. 4 Wheeler County 50-48. Even though the results weren’t up to par with the Trojans’ expectations, Da’Nasia Shaw was sensational, averaging 31 points, 9 rebounds, 6 steals and 5 blocks to win tournament MVP. Peach County is replaced by Region 4 foe No. 10 Rutland. The Hurricanes suffered a tough loss to Class A-Private No. 8 Stratford Academy 40-32 but before that, they earned a huge win against Class A-Public No. 2 Georgia Military College 45-42, outscoring the Bulldogs 15-4 in the fourth quarter to storm back. Sophomore Kayla Shines tallied 21 points and 14 rebounds. The 6-foot post is averaging 10.5 points and 8.4 rebounds on the season while senior BreAsia Davis is the eye of the storm with 14.9 points, 4.2 rebounds, 3.4 assists and 4.3 steals a night. Not liking their No. 2 ranking in Class AA, No. 2 Dodge County took out their frustrations on opponents last week, beating a good Washington County team 73-64 before smashing Class A-Public No. 3 Telfair County for the second time this season 87-60, Destanee Wright scoring 31 points and Europe Brown netting 27 on her way to her 1,000th career point. No. 3 Laney survived on the road at Class 4A No. 10 Burke County 61-60. No. 9 Early County slips two spots after suffering their first loss of the year to Bainbridge 49-39. No. 8 Swainsboro is up a spot after a nice 54-51 win at Tattnall County. In Class A-Private, No. 2 St. Francis went 1-2 at the CresCom Bank Holiday Invitational, losing to the No. 2 ranked team in the nation Bishop McNamara (MD) 74-43. Back home, No. 3 Holy Innocents’ knocked off Class 7A No. 4 Norcross 65-54. No. 4 Lakeview Academy climbs two spots to hit their glass ceiling after beating No. 5 Paideia 47-45 and losing to Lakeside-DeKalb 52-49 at the Storm Classic held at Providence Christian Academy. No. 6 ELCA is down a spot after losing to Class A-Public No. 2 Georgia Military College 63-61. No. 7 Mt. Paran and No. 8 Stratford Academy rise two spots after No. 9 Darlington took a 50-39 loss to Model to knock them from the unbeatens while No. 10 Calvary Day lost 49-36 to Class 6A No. 3 Glynn Academy and 66-49 to Camden County. No. 2 Georgia Military College fell 45-42 to Class 3A No. 10 Rutland but climbs two spots in Class A-Public thanks to their 63-61 win over Class A-Private No. 6 ELCA. No. 3 Telfair County falls as spot after an 87-60 loss to Class 2A No. 2 Dodge County. No. 4 Wheeler County had wins over Peach County 50-48 and Jeff Davis 60-41, but fall one position after a 54-50 loss to West Laurens. No. 5 Greenville annihilated No. 9 Pelham 76-47. Bowdon (8-3) drops from the poll after a 46-44 loss to undefeated Class 4A Central-Carrollton. Debuting in the rankings is first-year Head Coach Monte Killins and No. 10 Mitchell County. Sophomore Anyla Bell is averaging 9 points and 4 assists while senior Ayanna Dennard helps balance the attack with 8.4 points per game. 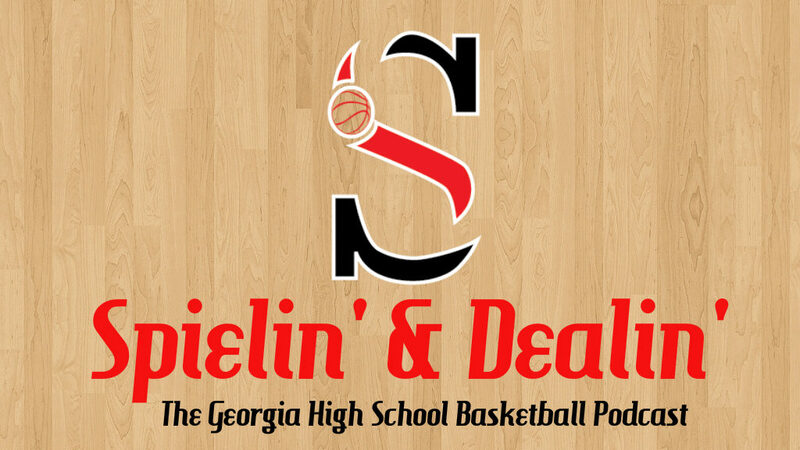 Our final week of games before Christmas wrapped up with the nation’s longest winning streak falling, cross-classification warfare and state dominance across borders – welcome to just another week of GHSA basketball. For the first time this season there is no movement but Class AAAAAAA stole nationwide headlines as No. 1 McEachern mauled its way to a City of Palms championship while No. 4 Discovery beat Class 5A No. 4 Eagle’s Landing 62-48 but more importantly ended Class 4A No. 1 Upson-Lee’s 75-game winning streak, 75-57, Hasahnn Reynolds pouring in 27 points, 5 rebounds and 6 assists. The Indians proved once again that the best TRUE high school basketball in the country belongs in Georgia as the pride of Powder Springs beat Miami Christian, FL (71-48), Paul VI, VA (59-52), Mountain Brook, AL (50-29) and Imhotep Charter, PA (68-47). Sharife Cooper earned MVP honors of the tournament after going for 20 points, 5 rebounds and 4 assists in the championship while Jared Jones (Northwestern) and Isaac Okoro (Auburn) both made the All-Tournament Team. No. 3 Norcross scored a 64-60 win over Class 6A No. 6 Alexander while No. 5 Wheeler and No. 6 Pebblebrook both went 2-1 against out of state competition. No. 2 Tri-Cities defeated Region 5 foe No. 6 Alexander 70-65, but both teams hold their spots in Class AAAAAA. No. 5 South Paulding suffered two heartbreakers, seeing a 38-31 lead heading into the fourth quarter evaporate against Class 2A No. 2 Therrell in a 50-47 loss and then melting down in double overtime against Marietta 73-65. While the top six remain unchanged, the bottom of the poll has two newcomers after Mundy’s Mill (11-3) fell to Class 5A No. 3 Southwest DeKalb 66-53 and Class A-Private No. 3 ELCA 63-53. Back in the Top 10 for the first time since Week 1 is No. 7 Sequoyah. The Chiefs clicked on all cylinders at the War Lodge Invitational beating The King’s Academy 73-54, Class 2A No. 10 Chattooga 92-70 and running a Kamar Robertson-less Cambridge (10-5) out of the gym and out of the rankings with a 109-80 blitzing. Still trying to get 100% healthy, the Chiefs have gone 10-1 since getting Myles McGee and DJ King off the football field and unbeaten since Ayden Watson shook off the cobwebs in his first game of the season, Sequoyah’s last loss against South Cobb. Replacing Cambridge is No. 9 Lakeside-Evans. The Panthers shutdown Peachtree Ridge 47-39 before losing to North Augusta (SC) 67-58. All-State guard Kalen Williams is averaging 20.4 points, 4.9 rebounds and 4.8 assists while three-point specialist Tyshun Briscoe is netting 18.5 points per game. No. 10 Brunswick slides down three spots after getting swept at the City of Palms by La Crosse Central (WI) 70-57 and Glens Falls (NY) 80-65, giving up 59 points to Syracuse-commit Joe Girard III. Back atop the heap in Class AAAAA is No. 1 Buford. It was another easy week for the Wolves in comparison to the rest of the top three, beating Banks County 73-26 and Archer 66-56. No. 3 Southwest DeKalb drops two spots after beating Mundy’s Mill 66-53 but losing to new No. 2 Fayette County 67-65. The Tigers also clipped Class A-Private No. 3 ELCA 65-54 at the Peach State Classic but ultimately fell to Westlake in the championship 79-68. 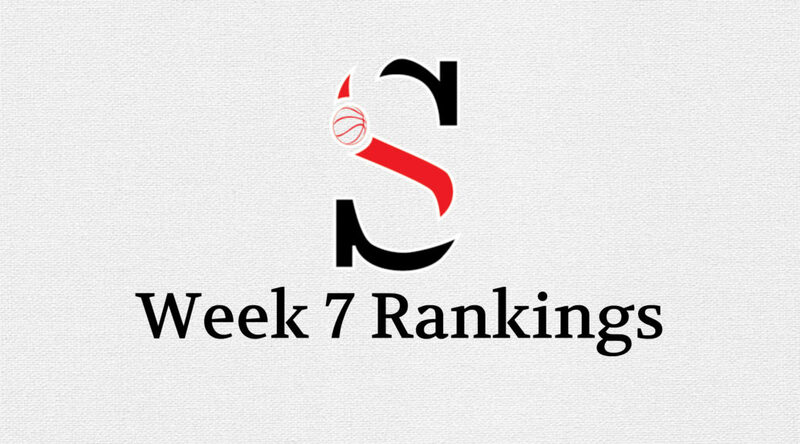 Statesboro (9-3) sinks from the poll after losses to Dougherty 75-60 and Westover 48-44. Carrollton (7-4) also drops following losses to debutant No. 9 Kell 80-75 and Class 2A No. 2 Therrell 64-61. The Longhorns climb into the poll behind a blend of veterans and youth, seniors Justin Perry and CJ Henderson teaming with sophomore Najhae Colon and freshman Scoota Henderson to play key roles. Following Kell into the rankings is defending champ No. 10 Warner Robins, who resurfaces after pounding Perry 84-52 and defeating Class 2A No. 8 Bleckley County 67-52. All good things must come to an end as No. 1 Upson-Lee’s 75-game winning streak came to an end against Class 7A No. 4 Discovery 75-57, but the Runnin’ Knights still top Class AAAA. There is no movement in the classification but No. 4 Henry County did grind out a Holiday Round Ball Classic championship in Augusta by beating Class 2A No. 9 Glenn Hills 65-52. Walker Kessler is back healthy for No. 10 Woodward Academy, who split a pair of games at the War Eagle Classic, losing to Zachary (LA) 57-40 but rebounding with a 59-53 win over Miramar (FL). Class AAA saw No. 2 Morgan County steal the show at the Palmetto Winter Classic taking care of Ridgeview (SC) 89-87, Holly Springs (NC) 60-58 and Blythewood (SC) 77-66 en route the championship. No. 6 Johnson-Savannah falls two spots after losing their Savannah showdown with Class 2A No. 1 Woodville-Tompkins 66-58. East Hall (7-6) exits the Top 10, losing three-straight to South Carolina competition while Liberty County (5-3) also is gone following a 72-70 loss at Swainsboro. Region 4 deploys first-timer No. 9 Kendrick and returnee No. 10 Westside-Macon to fill the poll. The Cherokees are a win away from matching last year’s win total and are closing in on their best finish since 2013-14. They outlasted Jordan in overtime 90-82. The Seminoles bounced back with a 74-50 win at Pike County. No. 1 Woodville-Tompkins’ reign over Savannah has officially begun if it hadn’t already before last week, the Wolverines proving the best team on the coast resides in Class AA as they closed on a 12-3 run to race past Class 3A No. 6 Johnson-Savannah in the Memorial Health Holiday Classic championship 66-58. Preston Crisp (17), Charleston Willingham (14), Bernard Pelote (13) and Deante Green (11) all scoring in double figures. No. 2 Therrell is still hot on Woodville’s track however. The Panthers survived No. 3 South Atlanta 54-52 without Robbie Armbrester and then proceeded to earn a second-place finish back at full strength at the Carrollton Christmas Classic, knocking the host Trojans off 64-61 and Class 6A No. 5 South Paulding 50-47 before falling to Oxford (AL) 76-64 in the title game. No. 5 Thomasville slips two spots after losing to PK Yonge (FL). No. 6 Vidalia climbs four positions with wins over Tattnall County 60-37 and Montgomery County 58-36. No. 8 Bleckley County drops a spot but clings onto a Top 10 position after beating Jeff Davis 72-70 but suffering losses to Veterans 68-63, Class 5A No. 10 Warner Robins 67-52 and Houston County 68-54, the trio combining for a record of 25-8. Also hanging on by a thread is No. 10 Chattooga. The Indians had hard fought losses to Alpharetta 54-47 and Class 6A No. 7 Sequoyah 92-70 at the War Lodge Invitational before bouncing back with a 56-54 win over The King’s Academy. The Indians’ 50-48 loss to No. 1 Woodville-Tompkins back at the SportalShowcase has served as a buoy for Chattooga, keeping them afloat in the Top 10. Washington County (6-4) isn’t as lucky, as they went 0-3 at the Savannah River Christmas tournament, blowing a double-digit lead against North Augusta (SC) to lose 80-79 in overtime and then getting beat by South Carolina’s Silver Bluff 64-57 and South Aiken 57-54. Reappearing from the CSRA is No. 9 Glenn Hills. The Spartans squeaked out wins over Clarke Central 53-48 and Tift County 62-57 before falling in the title game at the Roundball Holiday Classic to Class 4A No. 4 Henry County 65-52. The top four in Class A-Private has clearly separated itself from the rest of the pack, but the rest is a jumbled mess with teams beating each other weekly. No. 1 St. Francis is above the mayhem and notched a 71-60 win vs. Mountain View. No. 5 Walker holds onto their spot but were beaten by newly ranked No. 8 Wesleyan 71-62. No. 6 Trinity Christian is right back in the poll following their 62-50 win over No. 7 Mt. Pisgah. Riverside Military (9-3) narrowly exits the Top 10 after a 76-60 loss to Denmark while Holy Innocents’ (2-7) is officially gone after a misreported score led to the Golden Bears stealing another week in the poll after they actually lost to Starr’s Mill 66-57. The Class A Power Classic has shifted Class A-Public as expected. No. 2 Calhoun County rises three spots after taking care of Drew Charter 74-69 and knocking off No. 4 Treutlen 79-72. No. 3 Wilcox County, the only other unbeaten, escaped No. 9 Terrell County 81-79. No. 5 Greene County falls back two spots with a 58-54 loss to Clarke Central. No. 7 Pelham got by Lanier County 69-63 while No. 8 Macon County won a nail-biter at Dooly County 48-46.